Published by Philadelphia Museum of Art. Essay by Innis Howe Shoemaker. Introduction by Anne d'Harnoncourt. Jacques Villon, brother of Marcel Duchamp and Raymond Duchamp-Villon, was one of the premier printmakers in Paris during the early part of the 20th century. Originally influenced by the work of Toulouse-Latrec, he later moved toward Cubism in his work. 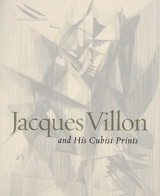 This catalogue from the Philadelphia Museum of Art places Villon's cubist prints in their proper perspective and includes a critical essay about his work. Essay by Katherine Ware. Foreword by Anne d'Harnoncourt. 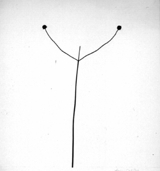 Elemental Landscapes accompanies an exhibition at the Philadelphia Museum of Art that concentrates exclusively on the landscape photographs of the late American photographer Harry Callahan. The natural landscape was a subject that occupied Callahan throughout his career, and examples range in time from the early 1940s to the early 1990s, providing an in-depth look at the artist's evolution. Callahan was fascinated not by the wide, sweeping landscapes of photographers like Ansel Adams but by more intimate pictures, which often remove the context of earth and sky from the scene, creating abstractions that challenge our notions of landscape by presenting a small slice of the world in all its infinite detail. Contributions by Susanne Ghez. Text by Ann Temkin, Anne d'Harnoncourt. 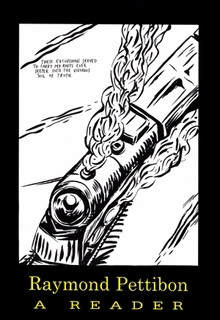 Raymond Pettibon is famed for the breadth and depth of his reading: his art draws on it (excuse pun) at every turn. This anthology of Pettibon's favorite authors assembles an eclectic mix, from Charles Baudelaire to Borges, and Charles Manson to Mickey Spillane. Pettibon's choice of literary resources opens up interesting angles on his work, and his transformation of those resources is fascinating. "There is something in my storyteller's art that wants to put the reader and the writer on equal footing in the role of the creator," Pettibon says; the Pettibon Reader assists his fans in that endeavor. Paperback, 6 x 9 in. / 352 pgs / 1 color / 50 bw.